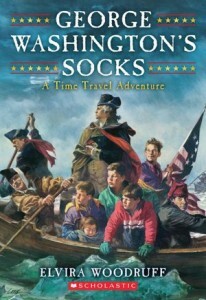 I can definitely see why George Washington’s Socks was on a book list for 5th grade book reports. It contains many lessons, just under the surface of the adventure. As an English major and former literature teacher, it felt heavy handed to me, but apparently they weren’t quite so obvious to my daughter until we started talking about it. Like many other kids books, this one begins with a group of modern day kids who get transported back in time. 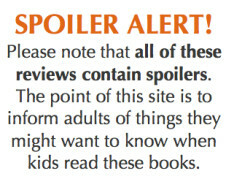 Unlike most time travel books, this is serious business. Four 5th grade boys—Matt, Hooter, Q, and Tony—and Matt’s 7 year old sister Katie are transported back to the Delaware River at the very moment that George Washington is crossing before the battle of Trenton. It’s freezing cold. The kids are under-equipped, much like the soldiers. And it’s deadly. Although the kids all make it home relatively unscathed, many other characters aren’t so lucky. It’s a relatively fast paced read, full of facts and details—not so much about the historical facts, but about what it might have been like to be alive back then. For kids interested in history, this might offer the immersion that many other time travel books stop short of. The plot is full of coincidences—some lucky and some really really not—but to some extent the plot isn’t actually the point. It’s just a framework for teaching about the time and about social consciousness. There is some violence, although less than you might expect. A soldier is shot point blank in front of the kids, which is a pretty brutal scene. There’s an awareness that many of these characters could be shot and killed at any moment and that many won’t ever make it home, but most of the time it’s more a threat of violence than an actual portrayal of it. War is rough, and not only because people are trying to kill each other. The realities of marching and sleeping outside in the winter without the proper provisions are really driven home. Most of the soldiers are portrayed as courageous men, although it’s also made clear that some are there because they need the money. They don’t actually care much about the principles being fought over. There are many reasons people might fight in a war—a glorious ideal is only one of them. The author states that she’s a pacifist and wrote this book as a response to her son’s love of G.I. Joe. Although she may hate war, she has respect for the courage and sacrifice of the men who fought. One of the first things my daughter told me about the book was that she was shocked when people started dying. There’s a lot of death in this book. There are 3 in particular that stand out. The one person who understands the time travel thing manages to skewer himself on his bayonet. He dies of a stomach wound within a few hours, having only shared a few details the kids can use to get home. I’ll be honest, to me this felt like manipulation to make the plot more convenient. This death doesn’t add much to the story. The second death is a young soldier that befriends Matt. This young man has left a little sister and several younger brothers at home in the “care” of an alcoholic father. He’s only fighting to try to earn enough money to care for his family and he’s 6 days from his enlistment being up. He can’t wait to return home. However, he’s sick, with an infected wound and a crippling cough. The symptoms of his death are shared in detail—vomiting blood, wetting himself, etc. It’s not for the faint of heart. This death drives home how brutal and deadly the conditions were, even if you weren’t involved in the fighting. This is relatively drawn out and has a deep effect on Matt—it may be difficult for sensitive readers. The last death is a Hessian soldier who has technically taken the kids prisoner, but he’s friendly to them and he saves Katie from drowning—whereupon he’s promptly shot and killed by some rebels who then make fun of him and disrespect the body. This death demonstrates that some of the “enemy” may be good and friendly people, and some of the “heroes” may be cruel and rude. Things are seldom clear cut. Although Katie does gain some measure of acceptance by the end, she is often dismissed as “a girl.” While I understand that younger siblings tagging along can be a pain, it’s less her age and more the fact that she’s a girl that the boys seem to have an issue with. She is repeatedly the one who gets them into trouble, although in the end she’s also the one who finds the magic boat so they can return home. Matt annoys me, mostly because of his relationships with his family. At the beginning of the book, he’s dumping the peas he doesn’t want into the sugar bowl, hoping his parents will think he ate them. He bribes his sister to keep her silent. He’d rather ask forgiveness than permission, convincing his friends that they should take a night hike to a nearby lake without telling any grownups. Katie finagles her way into coming along by threatening to tell a grown up—apparently there are few worse things than adults knowing what Matt’s actually up to. He bribes Katie again at the end of the book—of course she can’t help but tell the story anyway, and of course her parents don’t believe her. Matt has this dangerous life in which he makes awful judgment calls, and he makes up elaborate lies to keep this from his parents, who won’t believe the truth anyway. I know—you need secrets to keep the plot moving. But that bothers me. There is a strong message in this book that you can’t judge a book by its cover. What looks like a grand adventure from the safety of your modern world may actually be hideously dangerous and uncomfortable. Heroes aren’t untarnished. Enemies are actual human beings. The natives may have other goals besides killing you. Glorious causes are often fought for mundane reasons. Nearly every aspect of this book points to a more complex world. For kids who like history, this is probably a compelling read. Despite the fairly quick pace of the book, there are many deaths and several of them are played for maximum impact—it’s not for kids who are easily grossed out. I’d recommend this for ages 10 and up. 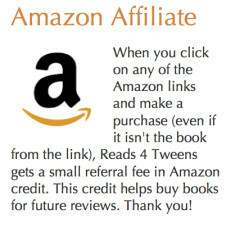 Much younger and they’ll miss the points this book intends to make. It might be a good book for older reluctant readers—it offers lots of things to talk and think about but isn’t a particularly hard or long read. 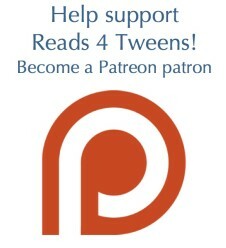 It would be a good read aloud so you could talk over the many issues introduced. It’s a great conversation starter. Published in 1991 by Scholastic, Inc.